When my first daughter was born in 1998, my aunt gave me a poem to read as part of her welcome gift. The gist of it said to cherish your kids when they are young because before you know it, they’ll be grown up. I scoffed back then thinking that the sleepless nights with a newborn would never end. Looking back, however, I see that she was completely right. Kids DO grow up so fast and it’s important to enjoy every minute you have. You’ll always have those memories to hang on to forever. Though I did my best to enjoy every minute with my daughter, I had to live with the fact that we were financially strapped. It was the late 90’s and my husband was a Private in the military. They had a pay freeze back then so his pay was crazy low. We couldn’t even rent an apartment on our own. We shared a three bedroom apartment with another military couple. I remember looking at our bank account and wondering if we’d ever survive. Having a new baby and trying to start out in the world was tough. Over the years, my husband’s pay increased and we were able to afford our own PMQ (private military quarters). I also was able to finish my schooling and start out in the workforce as an accountant in public practice. Our first home was in Edmonton, AB and we were lucky to buy it before the big real estate boom. However, finances were still tight even with both my husband and I working full-time. We had a ton of debt (credit card debt, loans, mortgage) and were paying for childcare for my daughter. We fought often about money and it put a big strain on our marriage. I remember the frustration of going to work and knowing that over half my paycheque was going to pay a babysitter. I wanted more children, but was terrified of what it would do to us financially. The financial stress trickled down to other areas of my life including my relationship with my husband, my enjoyment of my work and even my health. I was 26 years old when I became pregnant with my second child. I was working full-time, paying a babysitter for Olivia and was a homeowner. We were what you would call “house poor”. There was NO extra funds for anything after we paid our bills and bought necessities. Though I was happy to finally be pregnant after two years of trying, I still worried how we would manage it all. RateSupermarket.ca, Canada’s most comprehensive rate comparison site, polled 1,700 Canadians in their Terrible Money Twos survey and found that 55.6% said that they believed their ability to start or expand their family is directly impacted by real estate prices in their region. I know this to be true, too. Like I mentioned, we got in the Edmonton real estate market at a good time so we were able to afford a home (just barely though!). Had we waited even 6 months, I know for a fact that there would be NO way that we could afford a mortgage. And this was back in 2003. Housing prices are much higher today. It’s no surprise to me to see that 72.11% of millennials said their ability to start/expand their family was impacted by the cost of home ownership. I should consider myself lucky in this regard. It’s a sad reality that many Canadian feel that they must choose between home ownership and starting a family. According to Penelope Graham, editor at RateSupermarket.ca, it costs a quarter of a million dollars to raise a baby to college-age in today’s world. The price of homes, especially in urban centres, keeps rising and makes it extremely tough for millennials to have the best of both worlds. Debt plays a huge role in family decision making. 46.4% of millennials say that it prevents them from growing their family while 60.24% say they would rely on credit to afford the day-to-day expenses of family. We started out with a ton of debt. It was really the only way we could ever get a vehicle, post secondary education and more. Debt payments and childcare costs were a large chunk of our monthly budget. For my current situation, fast forward a decade and I’m now a homeowner in Pembroke, ON. The prices of homes aren’t as high here as they are in the big cities and I also don’t have to worry about child care costs with my kids older and me working from home. Many of my friends, like me, are in their late 30’s and are only now starting their families. We’ve chatted before about the lack of affordable childcare makes it challenging to keep working with young children. The Terrible Money Twos survey found that only 15.21% of respondents said childcare was affordable in their region with 41.9% saying that they do or will rely on one parent staying home full-time to care for the children. 48% stated that childcare costs impacted their affordability for other things. Because of these factors, it makes it extremely important for people starting out today to do their research prior to signing any dotted line. Think about how much you can affordable and don’t rush into any offer. This advice is especially true for anyone buying home, whether it’s your first or 10th. Compare your mortgage options and boost your affordability by taking advantage of competitive financing. 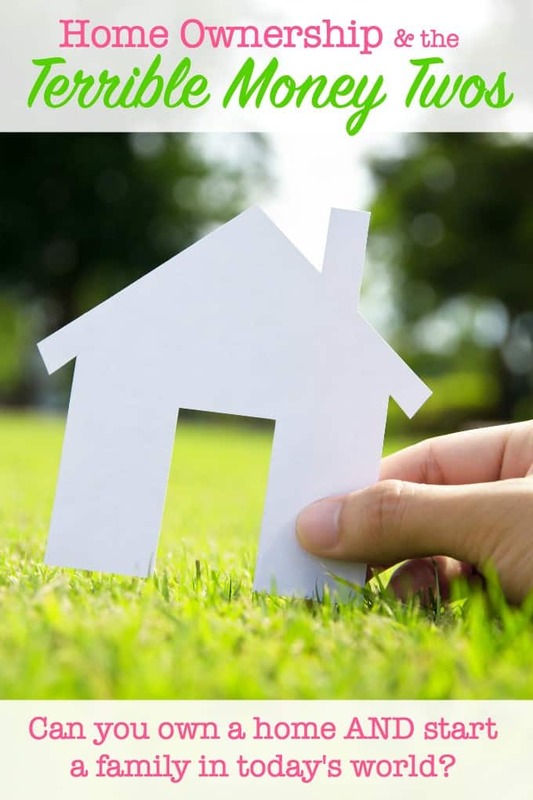 RateSupermarket.ca is the perfect spot to start your journey into homeownership. They have a fabulous mortgage rate comparison tool to help you find the best rate. Their site is completely free to use and I highly encourage you to take advantage of the tools they offer. Remember knowledge is power. The more you know, the better decisions you can make which helps you in the short and long-term. When I was buying my home in 2014, I did a ton of research on finding the best possible mortgage option for me. I’m glad I took the extra time because I’m very happy with my decision. It was worth the little bit of effort digging around. I’ll leave you today with the some more survey highlights. I found these thought-provoking and hope you do too! I’d love to hear your thoughts and experiences. Do you agree with the survey findings? 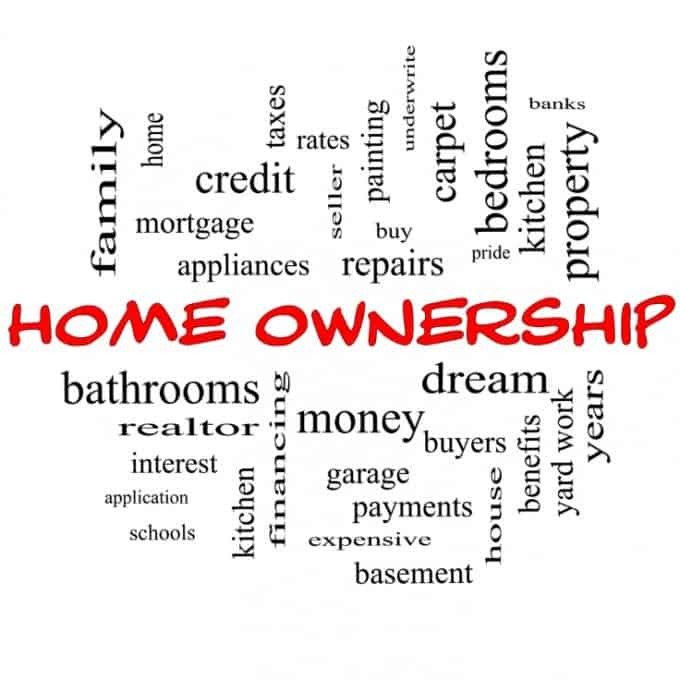 Can you own a home and start a family in today’s world? I bought my house and then had kids. I was in a good place, but I bought at a really good time I think. Home ownership can be tough. It’s the biggest investment you’ll ever make, but it’s so worth it. The statistics are not surprising to me. With lack of jobs and opportunity to advance in a job makes it harder for people to want to commit to being a homeowner. People want security and stability. My husband and I have made a conscious choiceto change our spending habits and pay off our debt so we can buy a house. Sometimes you have to be willing to sacrifice somethings to get what you want. I think it is possible to have a family and own a home. I don’t think it is possible to do those things and “keep up with the jones’s” A budget is key and you have to be realistic about things like vacations and the latest and greatest! It can be really hard. It’s definitely possible to do both, but I’m finding it takes a lot of self control. I have to get a handle on my everyday spending so that I can improve my credit score, well enough to get a great loan on a home. We had our kiddos then decided on buying a house. We haven’t yet but I know for a fact if we did it the other way around we wouldn’t have been able to do both. I’m happy with what we chose, and renting was fine… until now. I want to own. We, like many homeowners, feel our mortgage is like an albatross around our necks. I sure would love to see it paid off in my near future! I can definitely see how money worries could prevent people from starting families. Having good information helps you make smart decisions and get off to a good start. I think you can definitely have both in today’s society. It takes a lot of planning and saving but it is possible. It can be so overwhelming to try to buy a home and start a family. It costs so much to do both. If you stick to a budget you can achieve your goals. We saved for our home before we started our family. It was nice to be all settled in when we started having our children. It’s definitely hard. we had kids first and now we’re stuck renting. We’re trying really hard to save up to buy a home but it’s just really hard. Home ownership just seems to be getting more expensive. I just read a story today saying that the average house in the US costs $330,000 USD so planning and learning to save for your dream home couldn’t be more important right now. You are one of the lucky ones to survive money debt. I live in alberta and see so many couples break up when the price of oil falls. Up to their eyeballs in debt and then no job. Money is always tight for us. It’s always hard and we wonder how we make it. Praying our cards wont decline. I wish these days would be over. Living within your means is the key. It’s hard, but you’ll get through it. It’s so tough to raise a family these days! i try not to stress about money, but it’s almost impossible. I bought my home when I was 25. It was something I was saving up for since 15!! Debt plays a huge role with my plans for the future! Student loans were not kind to me!